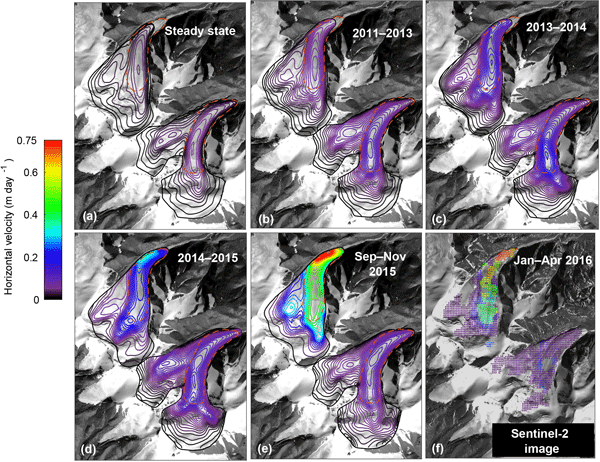 In Tibet, two glaciers suddenly collapsed in summer 2016 and produced two gigantic ice avalanches, killing nine people. 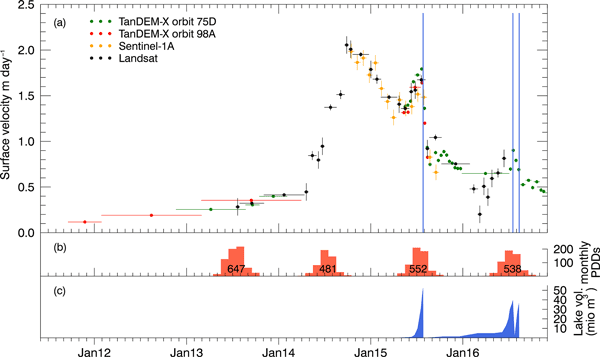 This kind of phenomenon is extremely rare. 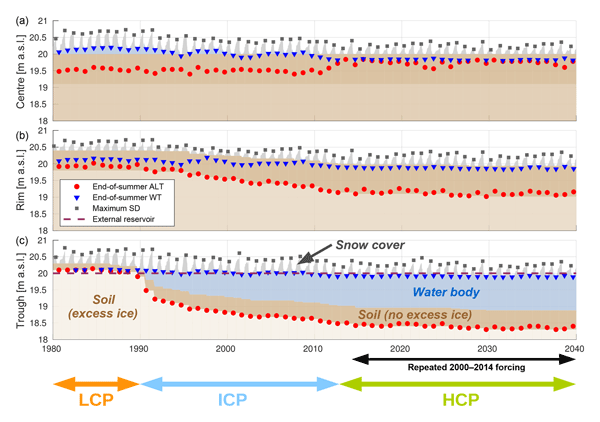 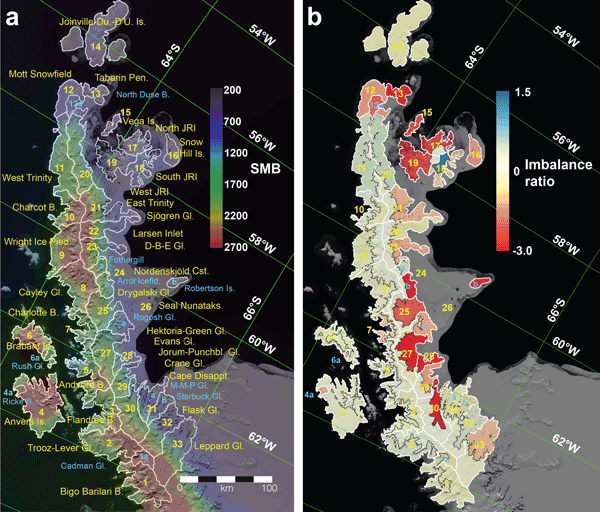 By combining a detailed modelling study and high-resolution satellite observations, we show that the event was triggered by an increasing meltwater supply in the fine-grained material underneath the two glaciers. 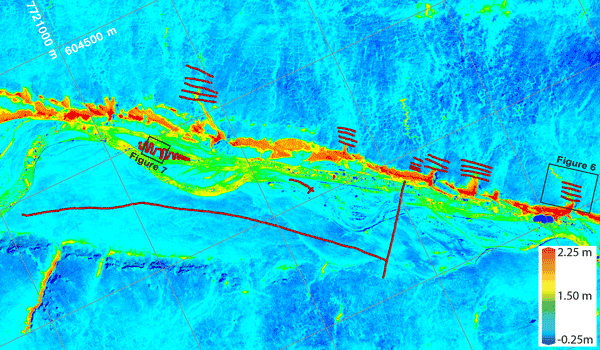 Contrary to what is often thought, this event is not linked to a change in the thermal condition at the glacier base. 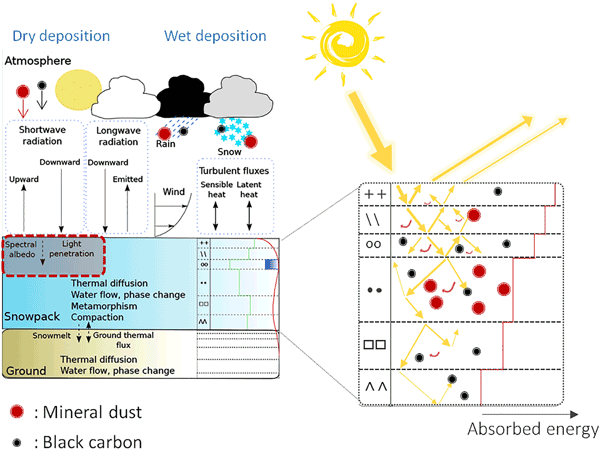 Light-absorbing impurities deposited on snow, such as soot or dust, strongly modify its evolution. 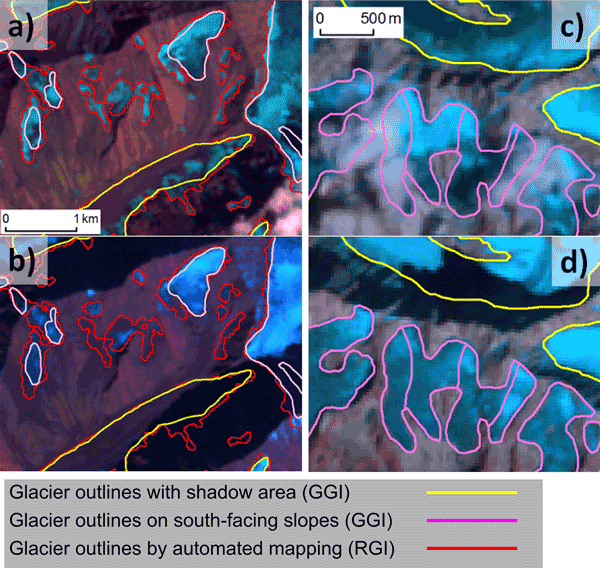 We implemented impurity deposition and evolution in a detailed snowpack model, thereby expanding the reach of such models into addressing the subtle interplays between snow physics and impurities' optical properties. 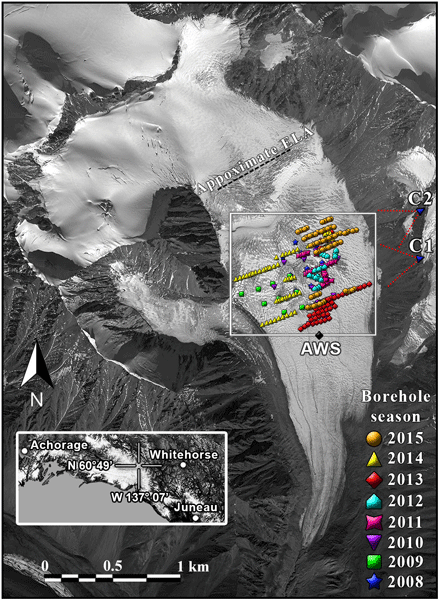 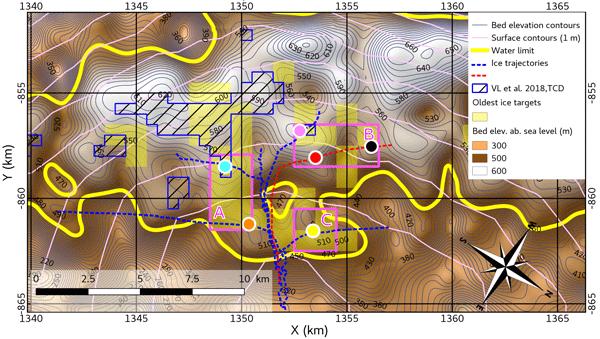 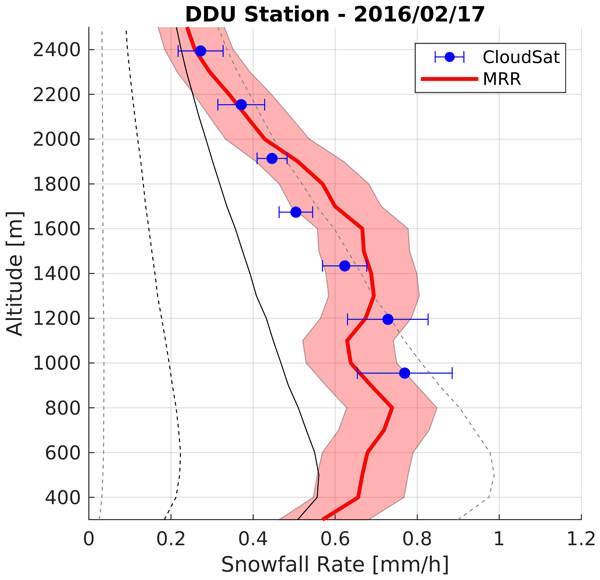 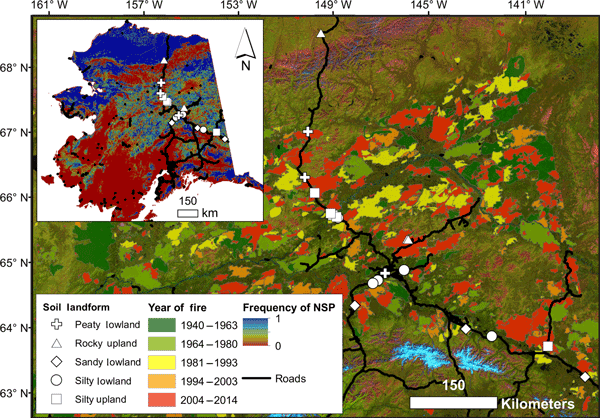 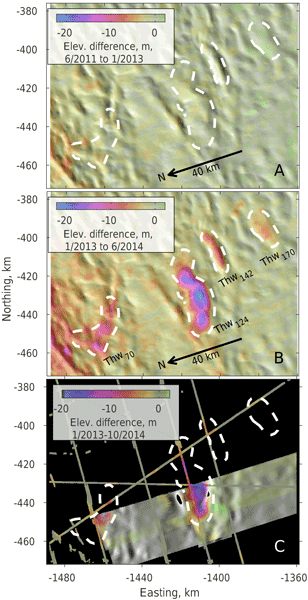 Model results were evaluated based on innovative field observations at an Alpine site. 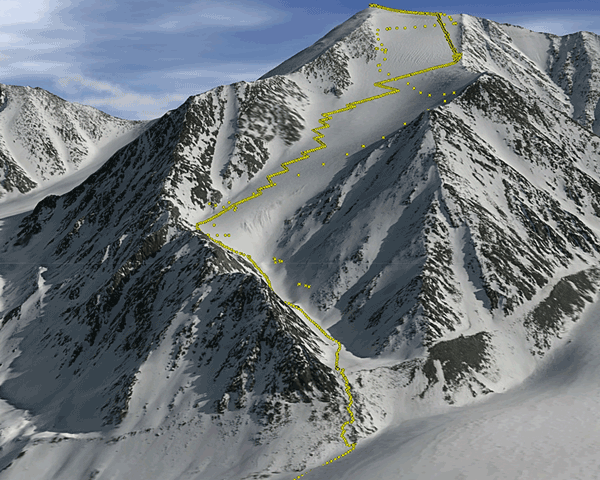 This allows future investigations in the fields of climate, hydrology and avalanche prediction. 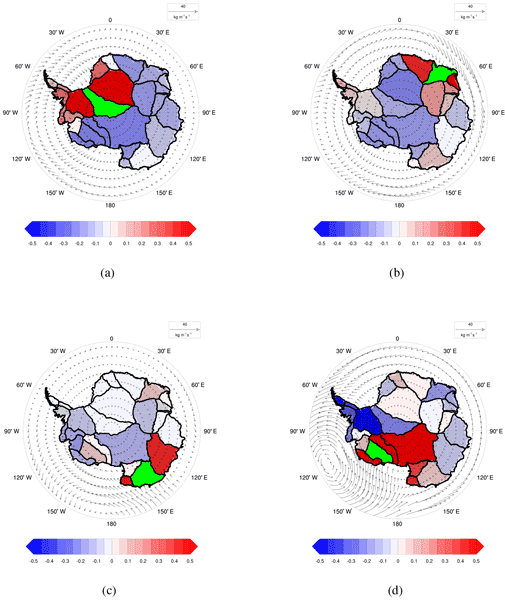 In this CESM modeling study, we uncover regional relationships in snowfall across Antarctica that are corroborated by regional modeling and ice core records. 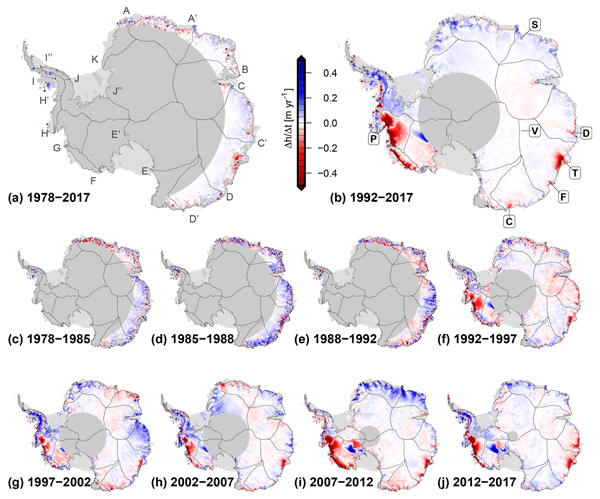 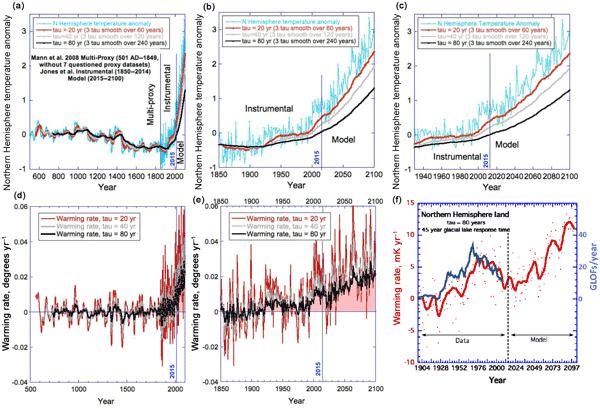 These relationships are driven by variability in large-scale atmospheric moisture transport and dampen overall Antarctic snowfall variability, with implications for Antarctic-sourced sea level variability and detection of an emergent anthropogenic signal in Antarctic mass trends. 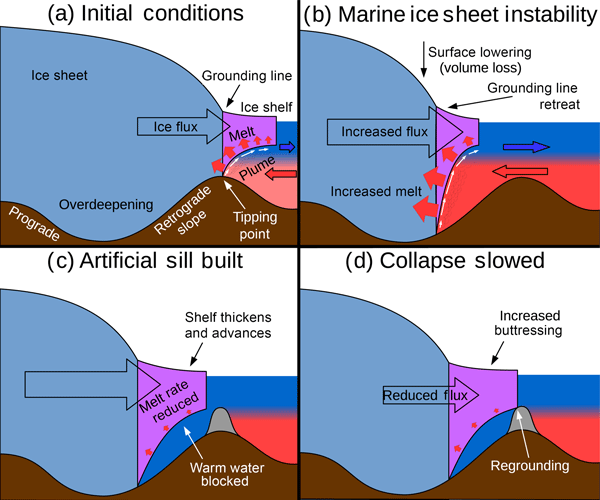 We show mathematically and computationally how discharge of ice from ocean-terminating glaciers is controlled by a combination of different forces acting on ice near the grounding line of a glacier and how that combination of forces is affected by the process of iceberg formation, which limits the length of floating ice tongues extending in front of the glacier. 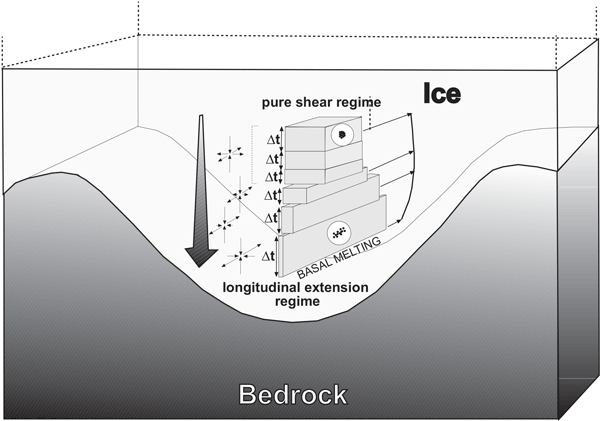 We show that a deeper fjord may lead to a longer ice tongue providing greater drag on the glacier, slowing the rate of ice discharge. 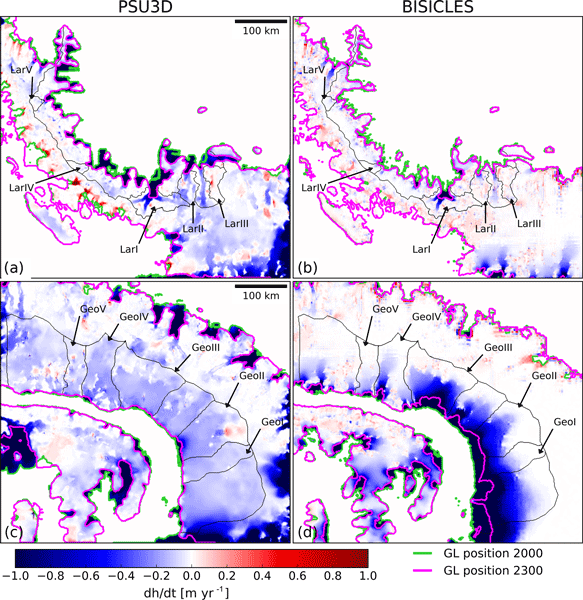 Previous geodetic estimates of glacier mass changes in the Karakoram have revealed balanced budgets or a possible slight mass gain since the year ∼  2000. 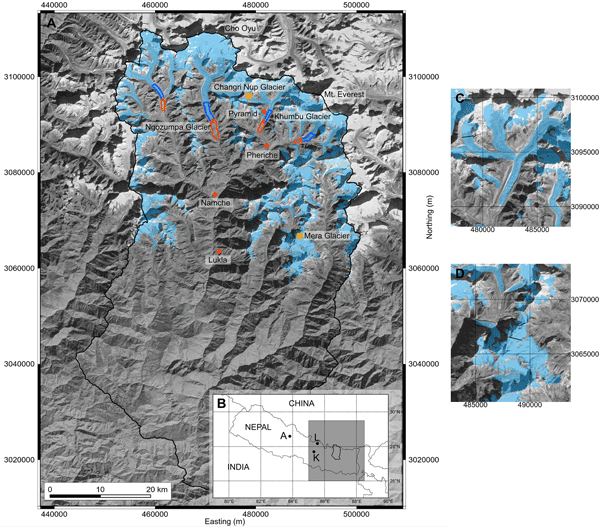 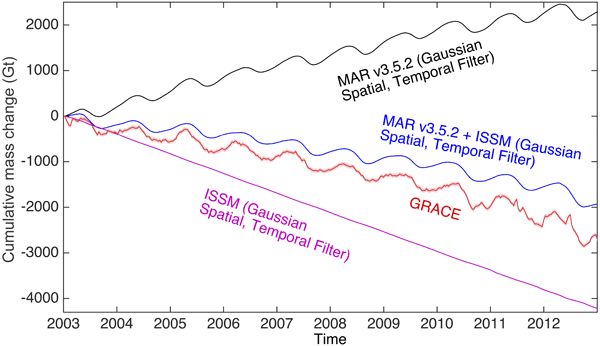 We used old US reconnaissance imagery and could show that glaciers in the Hunza River basin (Central Karakoram) experienced on average no significant mass changes also since the 1970s. 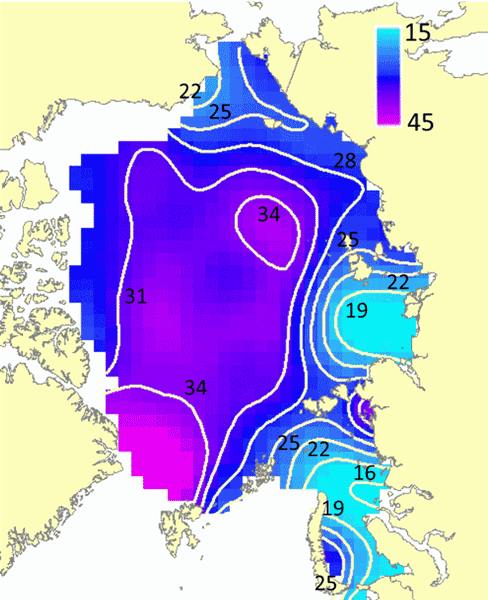 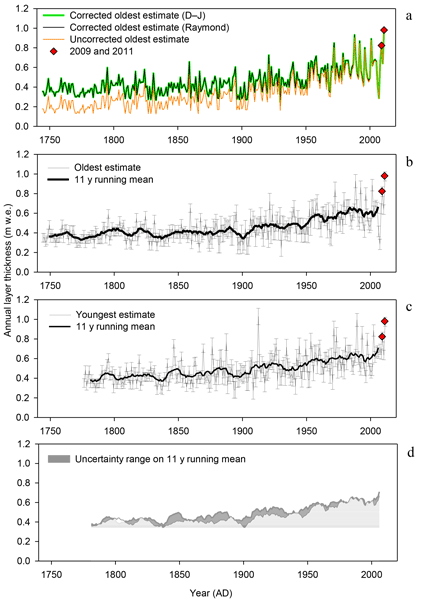 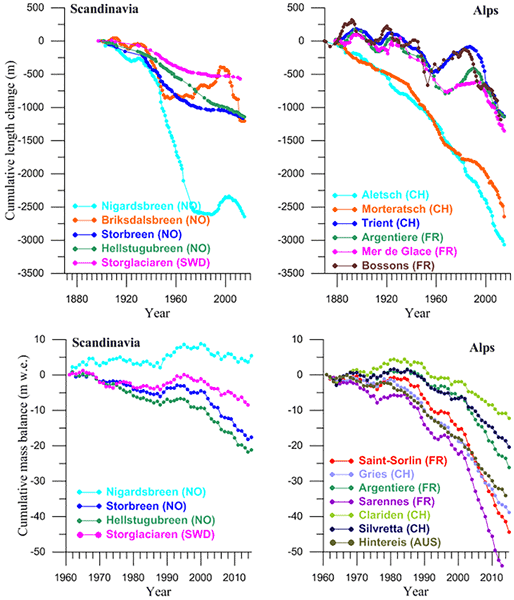 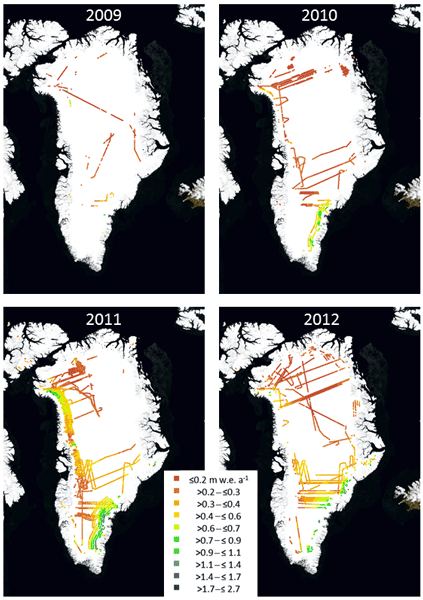 Likewise the glaciers had heterogeneous behaviour with frequent surge activities during the last 40 years. 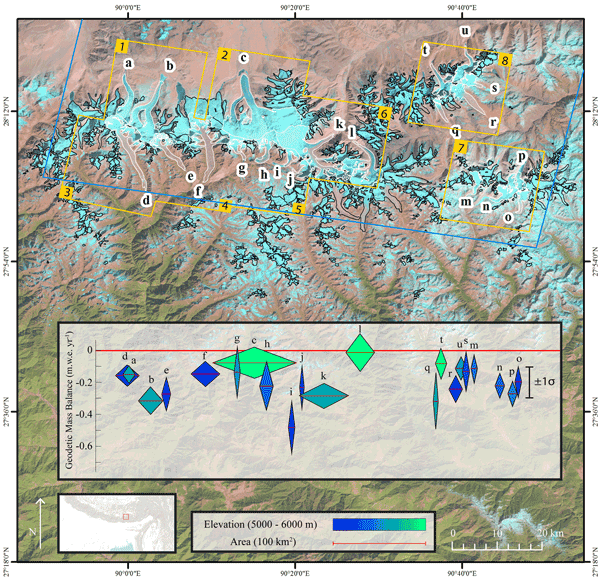 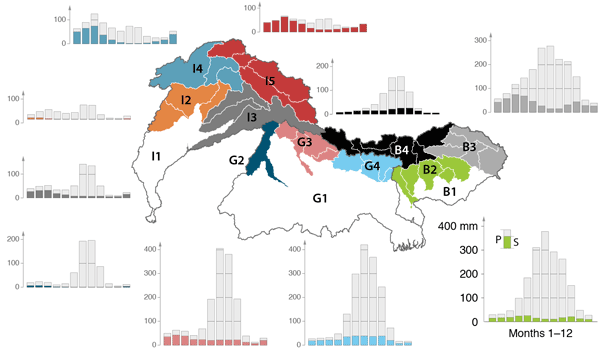 We show that strong electrical self-potential fields are generated in melting in in situ snowpacks at Rhone Glacier and Jungfraujoch Glacier, Switzerland. 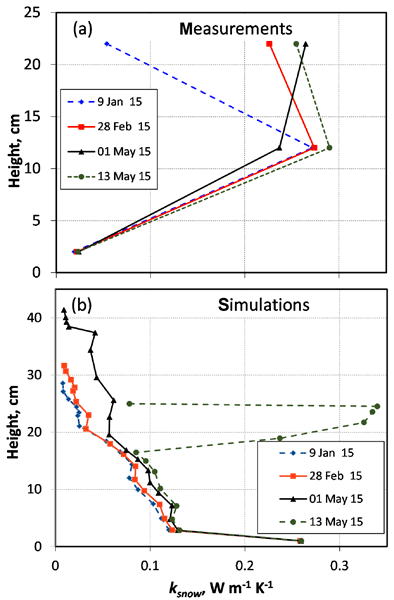 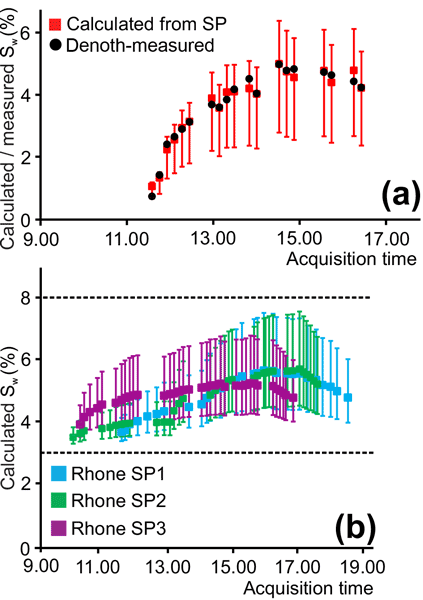 We conclude that the electrical self-potential method is a promising snow and firn hydrology sensor, owing to its suitability for sensing lateral and vertical liquid water flows directly and minimally invasively, complementing established observational programs and monitoring autonomously at a low cost. 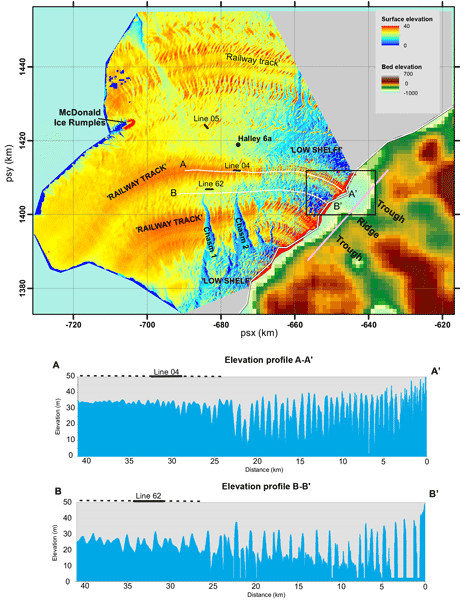 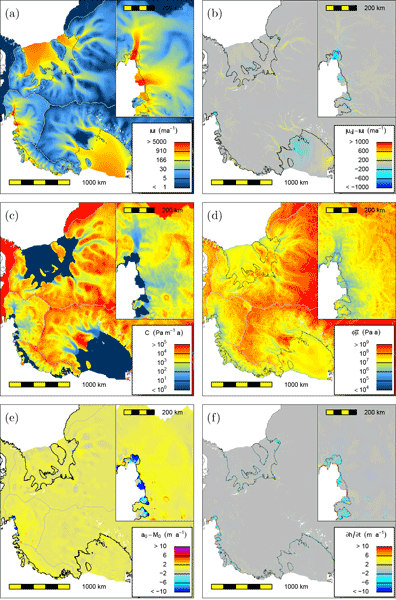 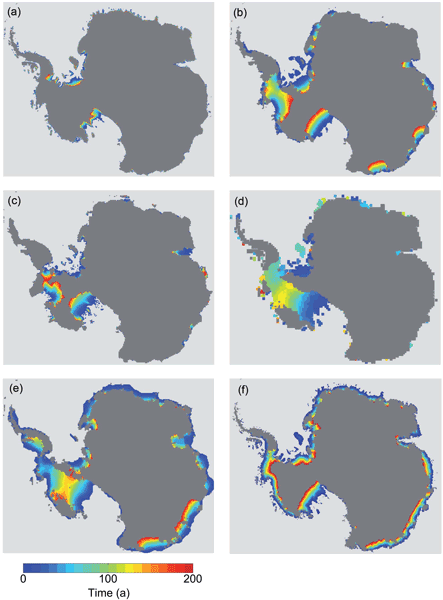 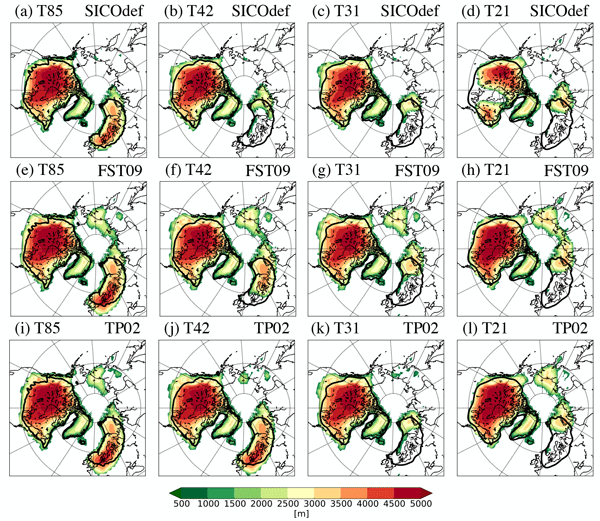 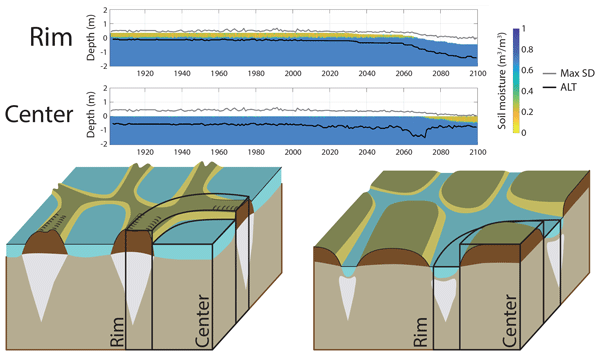 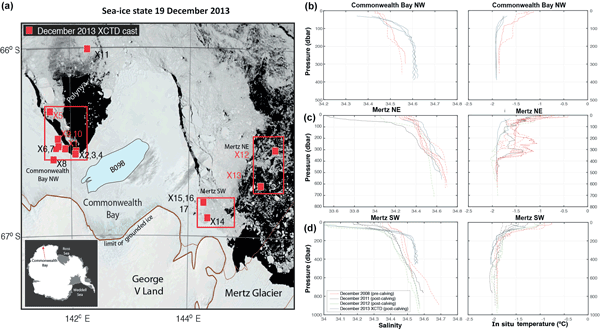 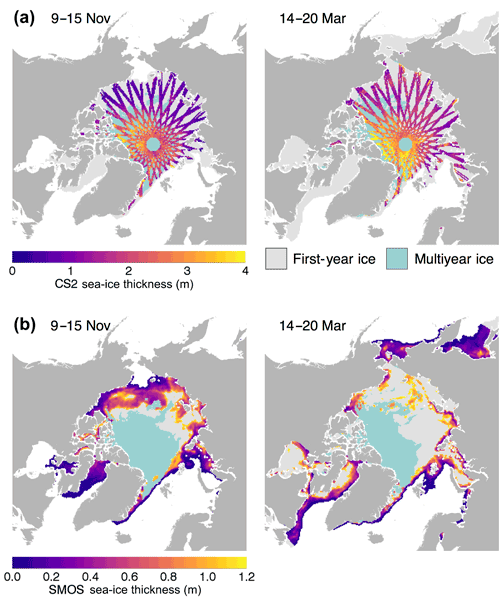 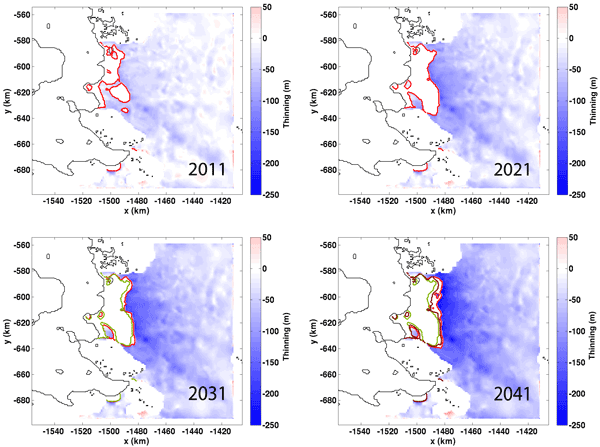 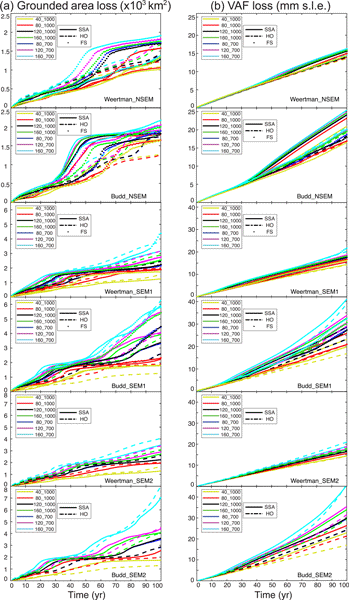 Projections of Antarctic dynamics and contribution to sea-level rise are evaluated in the light of intercomparison exercises dedicated to evaluate models' ability of representing coastal changes. 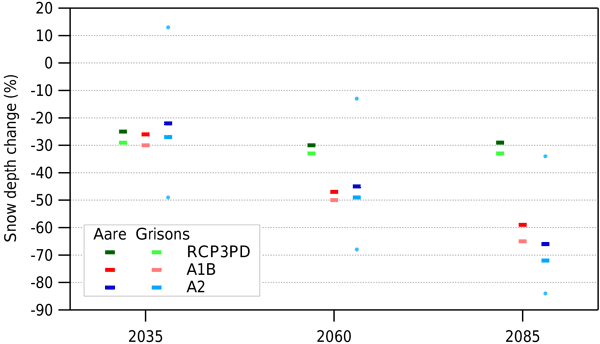 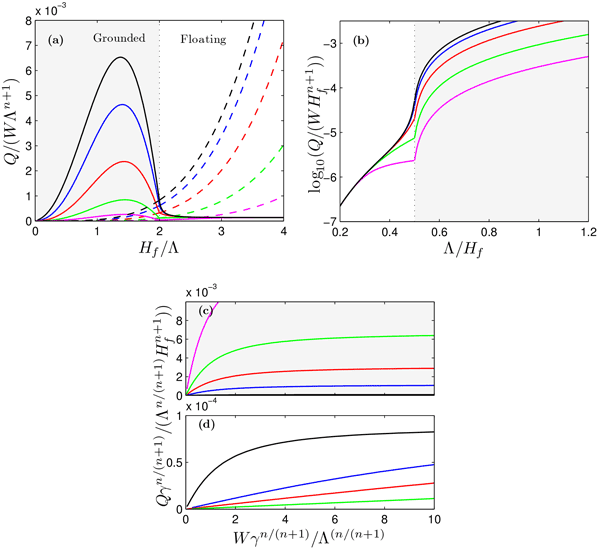 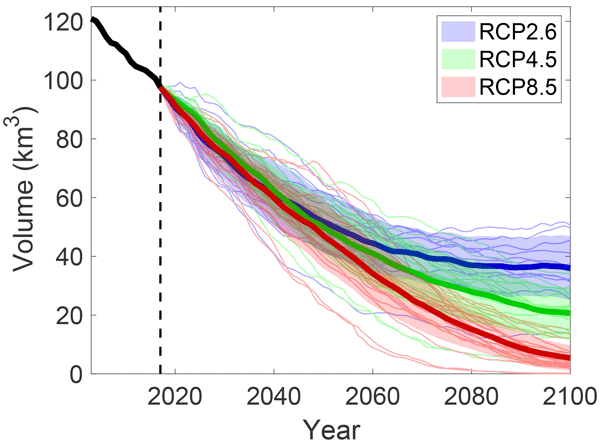 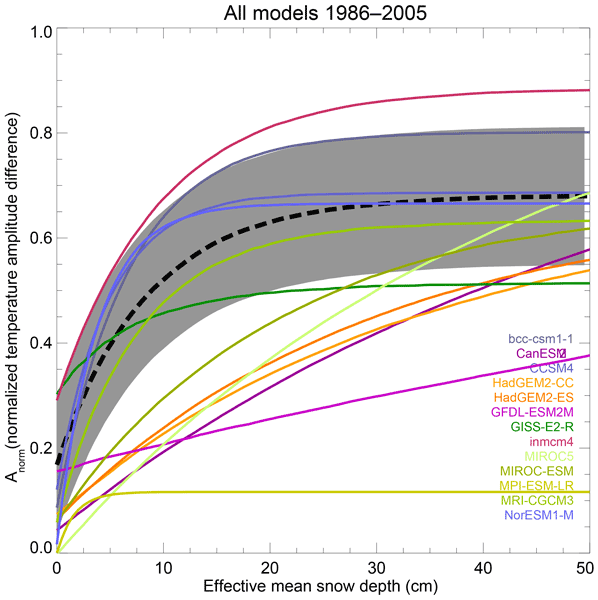 Uncertainties in projections can be substantially decreased if a selection of models is made and models that are unqualified for the representation of coastal dynamics are excluded. 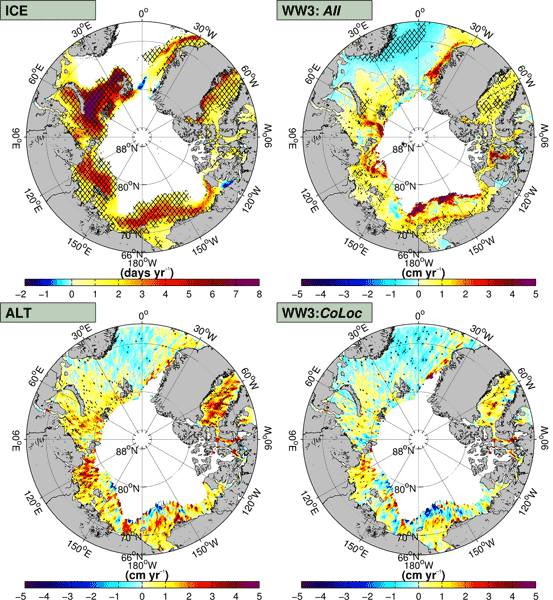 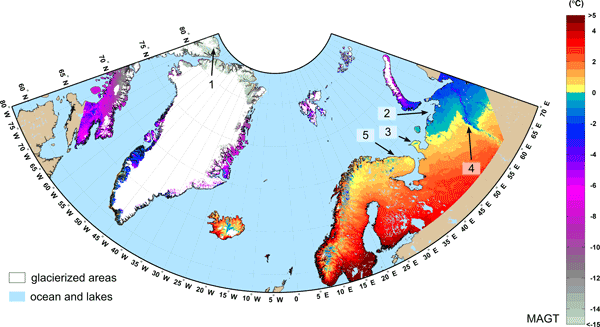 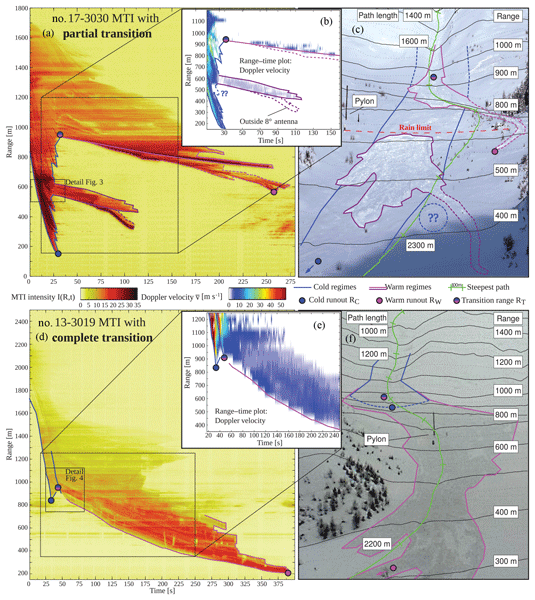 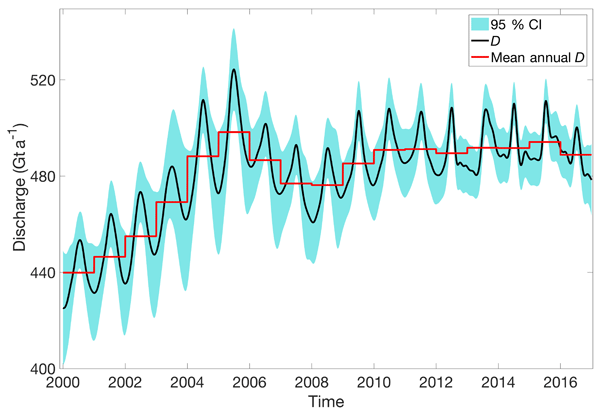 We used a high-resolution ice sheet model capable of resolving grounding line dynamics (BISICLES) to compute responses of the major West Antarctic ice streams to projections of ocean and atmospheric warming. 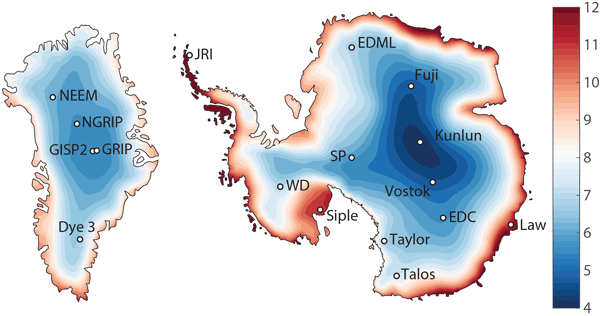 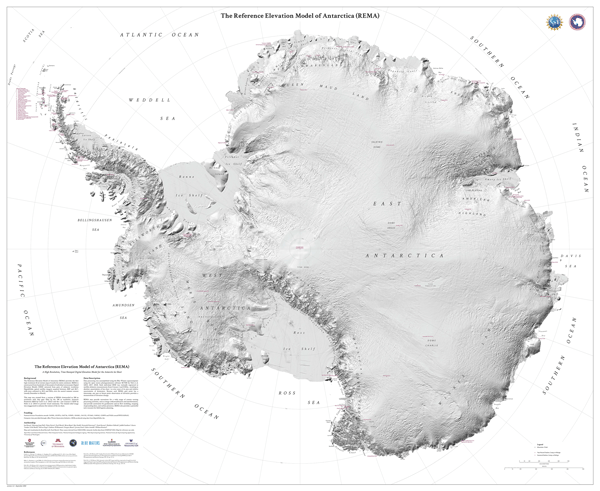 This is computationally demanding, and although other groups have considered parts of West Antarctica, we think this is the first calculation for the whole region at the sub-kilometer resolution that we show is required. 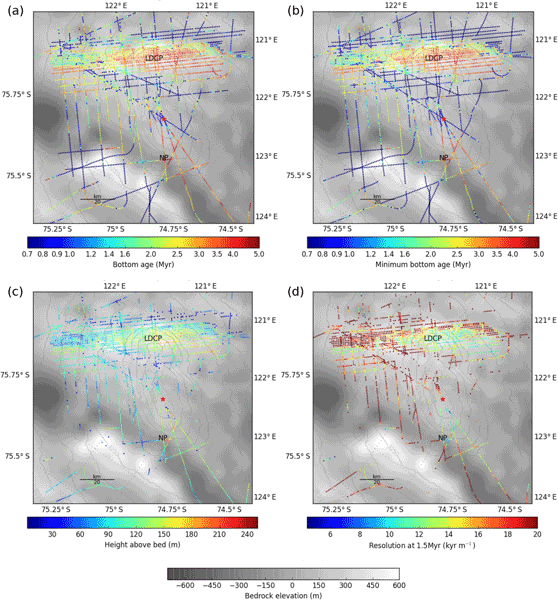 This paper presents a photogrammetric method for measuring topography from manned aircraft with an accuracy of 30 cm and repeatability of 8 cm, at significantly lower cost than other methods. 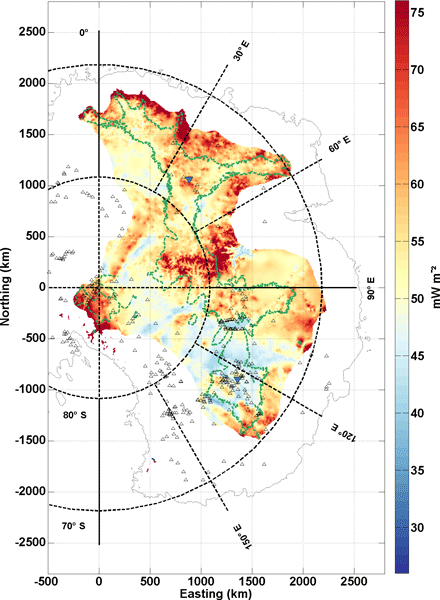 Here we created difference maps to demonstrate that we could measure snow depth with an accuracy of 10 cm compared to over 6000 snow-probe measurements on the ground, but do so over entire watersheds at 10-20 cm spatial resolution rather than just a few transects.